Annual (yes, annual!) exams are very important not only to determine if you need correction to see well, but also to maintain the health of your eyes and general health. They are the first line of defense for preventative eye care. While many eye diseases let you know something’s wrong – with symptoms such as red eyes, light sensitivity, or flashing lights – some serious, vision-threatening problems have no warning signs. For example, most forms of glaucoma produce no symptoms whatsoever until some vision has been permanently lost. Unless you have somebody looking at your eyes every year monitoring for change, you may not know you are at risk for eye diseases. Proper eye care and checkups are the only way to ensure your peepers keep on peeping. 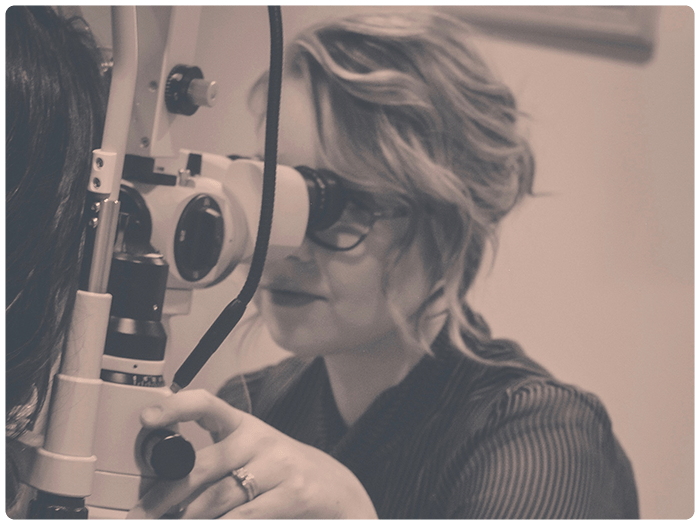 A complete eye exam involves a series of tests designed to evaluate your vision and check for eye diseases. It doesn’t hurt and it isn’t scary. Your doctor may use curious-looking equipment, shine bright lights directly at your eyes, and request that you place your head in a variety of instruments. Each test is necessary and serves the purpose of allowing your doctor to evaluate different aspects of your vision.